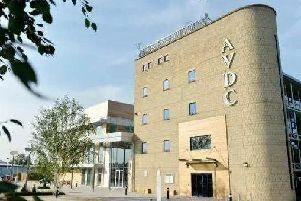 1,572 new businesses were registered in Aylesbury Vale during 2018. Figures just published show that more new businesses were established in Buckinghamshire during 2018 than in any previous year – despite the challenges of political and economic uncertainty surrounding Brexit. It ranked 14 best in the list of new entrepreneurial counties, London topping the list. In terms of new companies, 8,915 were registered in the county compared to 7,992 in 2017 which represents an increase of 11.5%. This brings the total number of registered companies in Buckinghamshire to 69,301 up from 64,538 at the end of 2017, which equates to 7.4% growth. “This is fantastic news for the entire County and the impressive figures speak for themselves. “There is a reason why Bucks is described as the entrepreneurial heart of Britain. "After all, more businesses have started in the County than anywhere else in the UK. We have seen a huge amount of innovation and business sectors that might not traditionally be associated with Bucks but have proudly made it their home. “Attributes helping drive continued investment include economic opportunities, digital capabilities, strong infrastructure and ongoing development plans in place. Milton Keynes formed the most new businesses (3,711), followed by Wycombe (1,622) and Aylesbury Vale (1,572). John Korchak, Director of Operations at Inform Direct said: “These record high figures for new company formations in Buckinghamshire show a very positive picture for business against a background of political and economic uncertainty. It is clear that the county continues to provide a supportive environment, both for new business ventures and existing enterprises. “It is heartening to see entrepreneurs making their mark with increasing numbers of new businesses being formed.